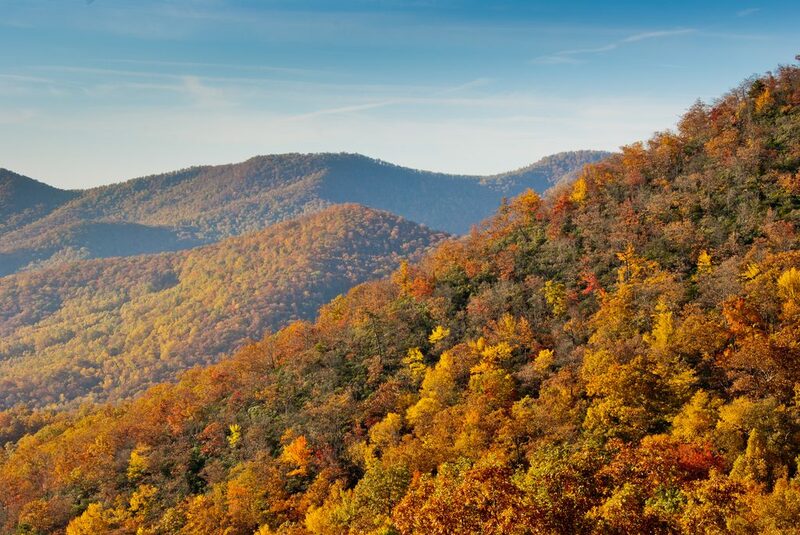 The Best Ways to Enjoy Fall in Northern Virginia— Part One! We’ve already showed you many of the amazing fairs and festivals that take place each year in Northern Virginia. Check out our list of some of these local festivals—with a number at local farms, designed specifically for kids, or for adult wine and beer lovers! There are so many local farms and so many festivals that take place in the area that we couldn’t include even include them all! If you’re looking for a complete list visit www.virginia.org, but here’s a couple more that we think are worth mentioning (and visiting!). Fall is one of the best times of the year for hiking—a moderate pace won’t get you sweating like it would in the summer and you don’t need to bundle up in a coat yet! Plus you get to watch the leaves change and feel them crunch underfoot. The scenic overlooks on many of these trails become truly breathtaking during this season! If you’re near Broad Run and can take on a trail ranked “moderate” for difficulty there’s the Bull Run Mountain Loop nearby. 4.3 miles long, featuring a river and what’s left of an old gristmill. You’ll see some great foliage, and the remains of a civil-war era railhouse! Take the Potomac Hike: Riverbend to Great Falls Park if you’re looking for a mostly level, dirt trail with constant river views! You can even stop at the visitor’s center to learn about the history and geology of the route you’re trekking. Plenty of dramatic, and beautiful, falls overlooks along the way. For those near Arlington a great way to enjoy the outdoors in fall is with a trip to Theodore Roosevelt Island. Located in the middle of the Potomac, this 91-acre nature sanctuary was built as a tribute to Teddy Roosevelt. The island is only accessible via a pedestrian bridge from Arlington and there aren’t any actual hiking trails, but plenty of places to walk, enjoy the scenery, or take a picnic! Trails at Mason Neck State Park offer a variety of views— marsh, woods, and bay vistas await! There are several different easy and moderate trails to enjoy, with lots of wildlife on display. Bring binoculars if you have them—you’ll most likely spot some herons or bald eagles! The Bay View Trail is a great one for fall, you’ll get to take in the picturesque bay as well as the woods and changing foliage. Enjoy open fields, wooded hills, and gorgeous views at Sky Meadows State Park. The park includes 17 miles of trails, including one 4-mile loop trail that features incredible views of the valley. Walk a segment of the Appalachian Trail, or choose from many others of varying levels of difficulty. Bluemont Vineyards is nearby, if you’d like to continue your afternoon drinking in wine…and more gorgeous views from their large deck. We’ve already told you about all of the fantastic local farms that let families pick their own produce here: U-Pick Farms in Northern Virginia. But plenty of these farms also create artisanal products, sell organically and ethically raised meats, keep their own bee hives for raw honey, and jar their own pickles and preserves. Some also sell wreaths, flowers, or homemade crafts. Agriculture is alive and well in Northern Virginia and the fantastic farmers markets and farm stands in the region prove it! Farm to table dining is big in this area, and never better than when the fall harvest is coming in! In Alexandria visit Restaurant Eve or Vermillion, both spots that the Obamas have enjoyed, both spots that feature seasonal locally-grown Virginia produce. If you’re near Fredericksburg visit Bistro Bethem, where fresh fish and house-made charcuteries are on the specials board. Or FoodE where 85-90% of their daily menu offerings are sourced directly from their local farm partners. In Lovettsville enjoy a meal at Market Table Bistro—which has partnered with five Loudoun County farms, ten local wineries, and one LoCo distillery to bring you the best the area has to offer. Likewise, The Restaurant at Patowmack Farm in Lovettsville serves up elegant, European-inspired food with ingredients sourced from their own farm and several other local ones. All of their meats are organic and free-range, and the seafood is wild caught. If you look around you’ll find plenty of other local gems serving up meals based around seasonal produce from nearby family-owned farms. Or set aside a day to take the 5-hour long Wine Trolley Tour sipping your way through the historic town of Fredericksburg. (Wine Trolley Tour) Northern Virginia is known for it’s wine country as well, lots of vineyards are open for tours and have gorgeous views over the valley and the changing foliage. And in addition to tasting rooms many of these wineries have delightful food menus. On weekends Loudoun Valley Vineyards serves up some southern comfort food from chef Zan Dial to pair with your drinks. Potomac Point Winery in Stafford serves up delicious fall desserts during this season, like apple dumplings with pecans and raisins, coconut bread pudding, and chocolate mousse with cherries marinated in wine. There are plenty more of great ways to enjoy fall in NoVA…Stay tuned for part 2 next week!